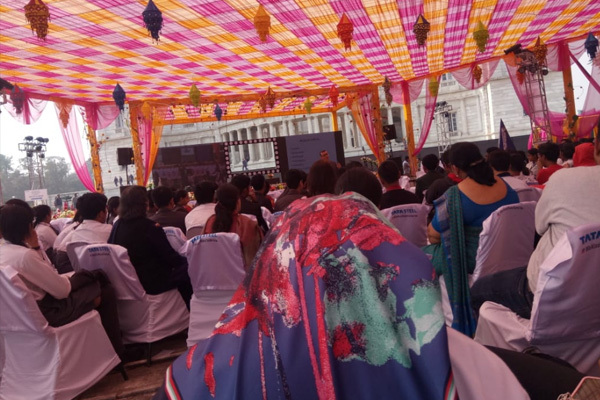 On the occasion of our 70th Republic Day, a very informative and eye-opening “Talk Show” was organised in the premises of The Victoria Memorial, Kolkata. Sri Siddhart Sharma, an esteemed journalist was the principle speaker for the day and the topic of discussion was “Democracy -You and Me” The winter morning on the lawns of the Victoria Memorial, turned out to be an enriching and a memorable experience for the Indus Valley World School students as the discussion itself was spectacular and furnished with facts and concrete reasoning.. With the elections of 2019 knocking on the door, there is an unprecedented curiosity and questions building up in our heads. 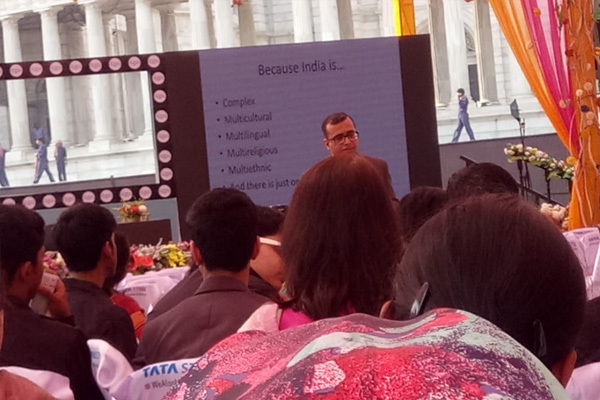 That hunger and desire for knowledge was duly fulfilled by the very accomplished speaker Mr. Sharma and others. Democracy was broken down to its very basic constituents and presented to us, using PPT presentations and charts with elaborations and definitions, which not only grabbed our attention but also made the content very thorough and accomplished. The negative aspects of democracy like the misuse of power and corruption were also voiced using accurate data and justifications. The talk, although based on a very informative and serious subject, yet the use of movie characters and such innovative perspectives made it engaging and entertaining for us students. 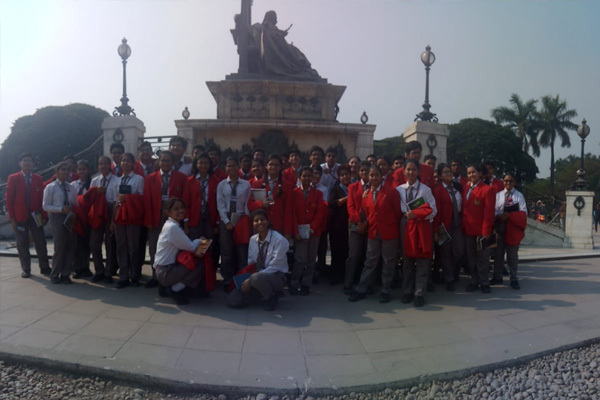 Thus, all the participating schools talked of democracy and matters revolving around it. We got to know many new things and it was not just based on the bookish knowledge which we get almost every day from our civics textbooks but something which we would need more in the actual journey of life after school. We learnt that “Democracy begins with elections and continues with debates “. As the sun shone bright upon us, the session drew to a close not before enlightening and brightening us with a varied outlook about Democracy and its people, at a place which was very unique and different from our temple of learning- the school.